OTISVILLE – The Millington boys and girls track teams had a strong showing on a cold and windy evening in Lakeville. The boys defeated Lakeville by a score of 84 – 49 but were stopped by North Branch 39 – 94. The girls beat Lakeville 66 – 52, but were also defeated by NB 39 – 93. Jack Shreve led the way for the boys with three 1st place finishes. Shreve won the 100 in 11.98, the 200 in 24.24, and the long jump with a leap of 18’11.5”. Logan Gutierrez was a double winner. He won the 800M with a time of 2:19.89 and the 3200M in 10:39.78. Waylon Hanel rounded out 1st place finishes as he won the 300M hurdles in 48.23. Other top 3 finishers were: Hunter Maxon in the 200M (25.94), Justin Raleigh in the 800M (2:29.21), and Matt Lewis in the shot put (35’9”). Austin Palmer was the lone individual 1st place finisher for the girls as she won the 800M run with a time of 2:41.15. The 4x400M relay team captured a first, as Madeline Horton, Palmer, Hannah Thomas, and Victoria Hall won the event with a time of 5:11.01. Horton added a 2nd in the 1600M (6:51.87) and a 3rd place in the 800M (2:59.28). Olivia McVay cruised to a 2nd place finish in the 3200M (16:05.60) and a 3rd in the mile (6:56.04). Thomas added a 3rd place finish in the 400M (1:16.30) and Emily Bailey claimed 3rd in the 200M (32.51). Isabelle Basner paced the throwers with a pair of seconds in the shot put (26’5”) and discus (76’9”). 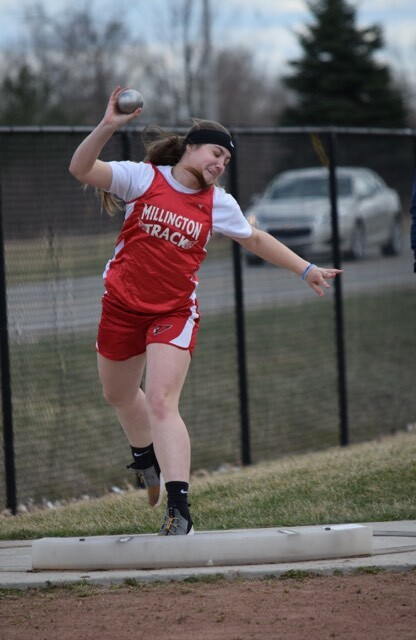 Other top 3 finishers in the field events were Hailey Crump in the high jump (4’2”), Emma Hoard in shot put (25’5”), and Cassie Bukoski in discus (69’6”). 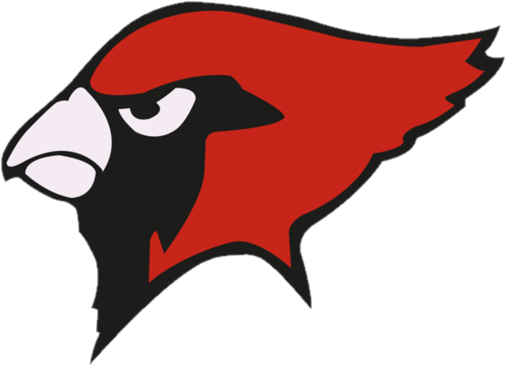 The Cardinal track team is back in action next Wednesday, April 17 at Bridgeport for a Tri-Valley East competition. Start time for the meet is slated for 4 p.m. Pictures of the meet will soon be posted to the “Millington Track & Field” Facebook page.